Lincoln Mining is a Canadian precious metals exploration and development company headquartered in Vancouver, British Columbia. Lincoln’s core projects are located in the United States. 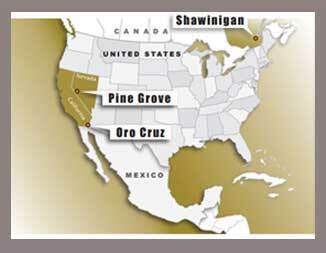 Lincoln holds interests in the Pine Grove gold property (a development-stage project) and the Oro Cruz gold property (an advanced-stage project) in southeastern California. In the United States, the Company operates under Lincoln Gold US Corp. and Lincoln Resource Group Corp., both are Nevada corporations. The Company’s primary focus is to advance its gold-silver property in Nevada, the Pine Grove Property, towards production. Lincoln Mining trades on the TSX Venture Exchange under the symbol LMG and on the Frankfurt Stock Exchange as symbol ZMG1.